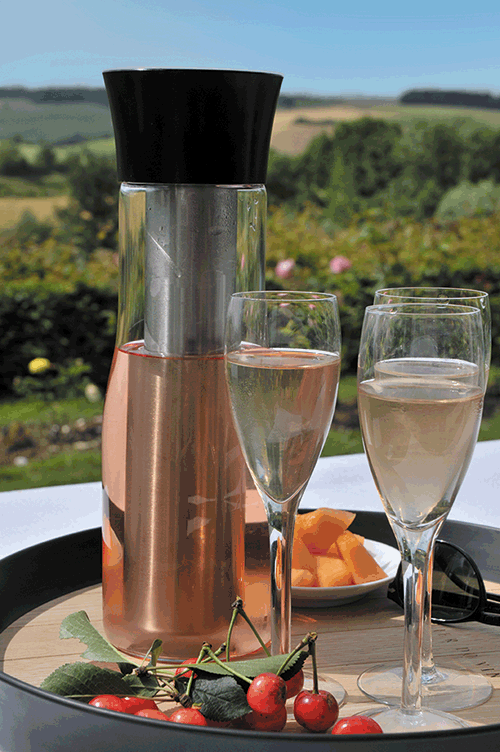 Carafe Fresh quickly chills wine and drinks the natural way, without adding chemicals. Its stainless steel ice chamber is a highly efficient cold-transfer material. The food-grade stainless steel won’t absorb or emit smells or tastes to your wine. 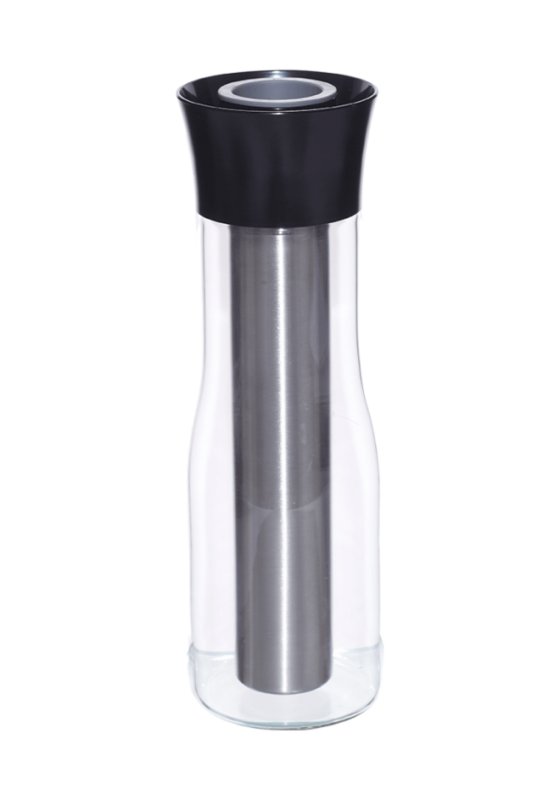 Carafe Fresh keeps pre-chilled wine cold for 90 minutes or more. By refilling the ice chamber, you can keep the wine chilled even longer. Ideal for white and rosé wines, water, fruit juices, milk and more. Capacity: 750ml. Made from stainless steel (18/8), glass and PP.